I’ve vented previously about Sucky Listing Agents that use free “drive-by” high school photographers to post one default photos on the MLS. Well sucky listing agents are GOOD for buyers! Fewer photos= Fewer showings=Fewer buyers= LOWER PRICE! Therefore, DO NOT skip photoless listings. I know it is a pain (also a pain for the buyer agent, which should be making a photo album for each viewing), but take the extra effort and potentially save $15,000. I painstakingly reviewed 268 Sold listings in Fairfax since 5/1/07 from $400k to $500k. 24% had NO ADDITIONAL PHOTOS! This is embarrassing! Also note that 57% of FORECLOSURES, Bank Owned, REOs etc had no extra photos. Only 12% of agents posted the maximum 20 photos. This amazes me (FranklyRealty.com Requires All 20). Note that the local MLS just went to 30 photos, and now they are free. So if the $12 was too much for your agent, now t hey have no excuse. The Closed NET Price as a % of the Original Price also showed a direct correlation. I scrubbed the data to find the REAL Original price. I manually adjusted the 20% of listings that were r elisted (see my best of 2006 blog on MLS DOM data fudging), and I adjusted for seller subsidy. Therefore on a $400,000 home, Photoless listing sells for 3.8% LESS. Bottom line for Buyer: Just like I’ve said staging gets you MORE $ for your listing, the opposite is true for buyers. Buy unstaged homes (see Don’t Buy Staged Homes) when you can and consider the poorly marketed homes to get a better deal. Bottom line for Sellers: Duh, at the very least, make sure your agent puts a ton of photos. Bottom line for Agents: Keep up the bad work, it makes me look better. Share this blog post with a friend. Make sure to sign up for this blog (upper right of the page Blog.FranklyRealty.com) as next week I’ll show more of the data and how Days on the Market correlates to price. Also more on DOM-M vs DOM-P Relisting tricks. I am with you on having plenty of pictures as you know many are going to search the web to see what is going on. This is one of my pet peeves too. Even showing the one required photo is nowhere near good enough but the no-photo listings, what are they thinking?! I say the sooner those agents are out of business the better for the rest of us. They can’t possibly get referrals with so little effort; I have no doubt your DOM stats are correct too. That won’t enhance a realtor’s resume! But Frank – Digital photo’s are so expensive………….. HOOORAHHHH!!!! Finally someone who told it like it really is! I too believe in the, “If I can post 12 photos…dang it I am going to post 12 PHOTOS!” theory. I have actually had buyers tell me that it was the photos that sold the home so I know it works. Go ahead bad listing agents….keep posting none or one….I don’t mind, I am going to do what is best for my client! Banks are now wanting to know what the agents are doing to market the properties. Maybe they will get savvy to this! I’ve been trying to market that approach in Central Ohio. As inspectors we have access to the homes and can provide pictures. Not that it’s hard to use a digital camera and upload. It’s just time consuming and we are out and about anyway. Use the home inspectors in the areas to get into the house and take many pictures and the realtor can choose which ones to use. Great point Frank and thanks for the statistics!!!!! Frankly, as a stager, I do my best to stay away from such agents. Whatever the excuse, ( now I understand the bank owned and foreclosures, thanks Frank), it’s just unexcuseable to not post as many photos as possible. Like you, I take an excess of photos of the homes I work on, in the hopes of a couple of good ones. My husband use to be a broker and NO photos for a listing did not happen in his office. If the agent couldn’t get out to get the pictures before it hit the MLS, then the listing waited. Many realtors in our area have gotten better but I still find the ole’ “no photo available”, and I just don’t get it. LAZY, you betcha! Thanks Frank, now I feel better too! Frankly, you always tell it like it is and I love it! I wonder what excuse the drive by shooters are going to have for not utilizing the free 30? Since this is new to MRIS, I wonder what your stats will look like this time next year. Frank, interesting post. In our MLS, we can only add six photos, but on top of that, I add a RES virtual tour which holds lots of photos and a floorplan and more details on the listing. You’re right though about the turn off for those homes with only one photo. Laaaaaazzzzeeee Realtor for sure. My buyers typically don’t even want to see those with one photo for the reasons you mention. Good post. Can I deduce that only 12% of agents are providing more than a minimum level of servicing to their sellers? Great stats. This is a wonderful talking point with potential clients. Frank – Great advice for buyers. I think my local MLS allows 9 photos. If there are not 9 or 20 different shots in a home it is nice to do a close up on an architectural detail, molding or fireplace. Kind of breaks things up. 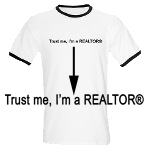 I know you are not a huge fan of the Virtual tour, but do you have any stats on homes sold with and w/o virtual tours. I’d be curious. Here is my theory (keep in mind I’m not even an agent so I could be way off) – I think homes in the lower price points, where virtual tours are uncommon, will sell faster if they have a virtual tour. I think people will think that the home is somehow better than the tourless homes. Can you prove me right or wrong? Great advice. Obviously you spent a lot of time working on the numbers for this blog. Thanks for sharing. This makes me wonder about listings in my area. Might be a good point to use when going after expireds! I love sucky listing agents. I have buyers right now who are probably going to get a great deal on a wonderful house that has only so-so pictures and no lockbox. No, I don’t have any stats on Virtual Tours. The problem is there are so many of them. Some will make their horrible 4 photos into a “tour.” I would have ot open up all 250 houses and decide which ones I determined to be real tours or not. Also I don’t really think that the actual photos is 100% of the reason for the difference. I think a lot of it has to do with the agent. An agent that goes out of their way to post 20 photos, probably will go out of their way to fight for a higher price. Thanks for the reply Frank. I thought maybe it was some kind of information that you could access. I think you are right about a lot of the credit going to the agent also. Chances are if they are posting more photos they are willing to try harder with everything. It really is about getting the right people working for you. And a listing agent that posts 20 photos, is probably more likely to… STAGE! Maybe I’ll go through all 200 and see if I can tell which are STAGED and which are not. That would be interesting! I think one possible explanation is that some agents might stick one photo on the MLS because it’s a “hot” listing and then it sells before they add the rest of the photos. That’s maybe why the average days on market is actually less for these listings with fewer photos. Thanks for the mental “exercise” I’m always interested in running the numbers and comparing markets especially since I’ll be moving to the Maryland/Virginia area in a few years. Keep up the great blog! We are a military family living in California getting ready to move to Virginia. Our ability to fly across the country is severely limited. We like lots of pictures. I admit to wondering what is wrong with the homes if there’s only one photo. Additionally if you only have the time to post one photo what makes you think I have the time to look at it? First of all, you should try http://www.FranklyMLS.com since the goal with that site is for buyer agents to add MORE photos to listings. But if you get mad at these listings, and you only buy well marketed listings… then you will pay more. We have had people buy without stepping foot in the home. Let me know if you are not getting this level of service. I will find you somebody that will.